It’s no secret that the international vacation you have planned is going to cost a little bit of money. If you’re not careful, you might end up paying even more than you expected in foreign transaction fees. With a little bit of advanced planning, some of these hidden international charges can be minimized. Here’s a list of some of the most common sources of financial frustration while traveling, with an eye towards what you can do to avoid them. By the time you’ve made it to the airport, you’re no doubt anxious to get your adventure started. 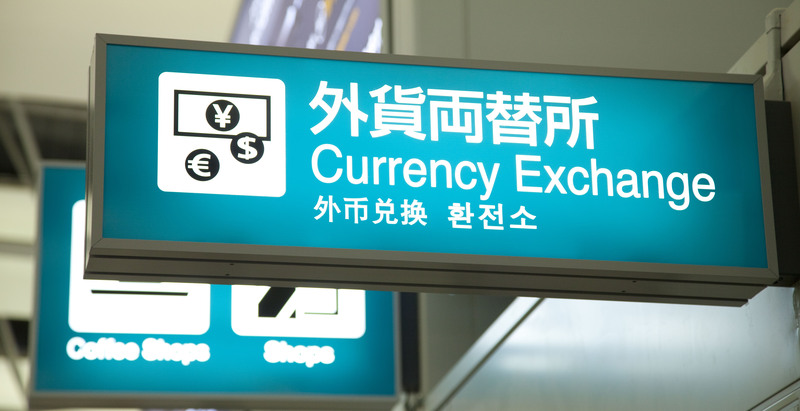 While airport exchange rates are a useful way to gauge what the exchange rate might be, there’s no guarantee what you’re offered at the airport is the competitive rate. You’re better off planning ahead waiting until you leave the airport to seek out a more competitive rate. So you smartly decided to wait until you left the airport to exchange your money. You can just go to an ATM to get a hold of the money you need, right? Turns out it’s not quite that simple. Using an ATM internationally can create its own set of headaches. Not only do you have to find an ATM at a bank affiliated with your bank back home, but you might end up paying international ATM fee every time you make a withdrawal. Making a few large withdrawals, versus several smaller ones, can help minimize being charged these fees. You’ll still be paying a currency conversion fee, but it reduces the number of times you’ll end up paying that flat international ATM fee. If you think you can beat the system and avoid fees by going cashless, then you’re in for more disappointment. Every time you want to use your debit or credit card, you could be hit with a foreign transaction fees depending on the bank you use. While there are a handful of travel-oriented cards that might offer to waive that fee for frequent travelers, they can come with their own frustrating fine print. Just make sure you know what you’re getting before using the card. If you do decide to use a debit or credit card while traveling, in some countries, many banks and vendors will give you the option of completing the transaction in the local currency or in American Dollars. Every time you choose to pay in dollars, you’re letting your bank determine the exchange rate. Depending on your bank, this charge can either vary with the exchange rate, or else is a consistent fee. If you choose local currency for these transactions, you won’t escape that foreign transaction fee, but at least this way you can more or less determine the real cost of your purchase with some quick mental math. While there’s no foolproof system for beating bank charges whenever you leave the country, there are a few ways to minimize them. First, use a currency converter to familiarize yourself with the current exchange rates* in the country you’re traveling to so you can know what to expect. Second, send money to yourself in advance of your trip by sending yourself a money transfer ahead of time for pickup at a participating Agent location at your destination. Finally, remember the tips above to help avoid paying more than you need on your next vacation.